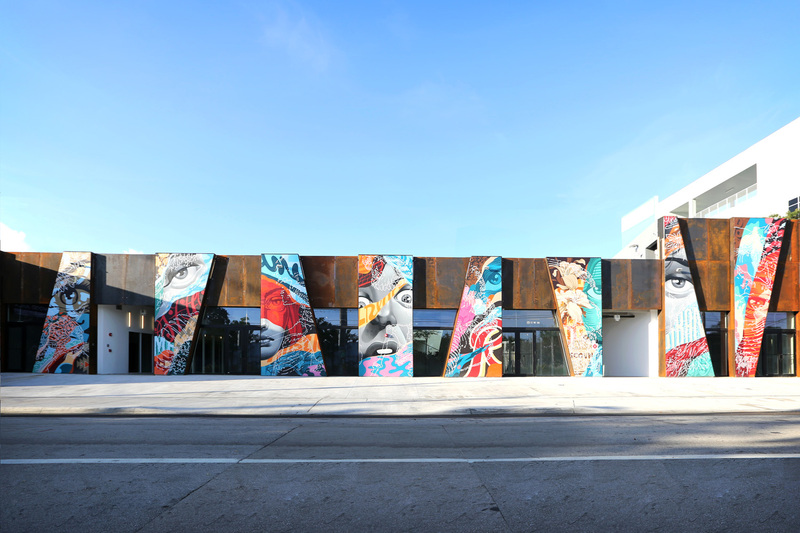 A straight-forward, standard-issue park just won't do for the uber-trendy, graffiti-covered streets of Miami's Wynwood Arts District. Instead of merely carving up green space within the artsy district, Tony Cho, a local real estate broker and developer, launched an international design competition to turn a parking lot into a public space worthy of its distinguished neighborhood. The Miami Herald reported that 238 submissions from 23 countries were received for Cho's competition, and, lo and behold, the only entry from Miami came out on top. After all entries were reviewed, the blind jury selected a proposal by local artist Jim Drain, and Roberto Rovira and Nick Gelpi, both professors of architecture at Florida International University. The Miami-based team beat out the competition with "Wynwood Greenhouse," a plan that is obviously a lot more than a standard-issue greenhouse. Underneath a familiar glass canopy, which is actually made of aluminum, the designers have created a multi-functional park with native grasses, flowers, green walls, a paved pathway, and moveable seating. At the center of the scheme is an old oak tree that is currently on the site and will appear to break through the aluminum structure that will rise around it. 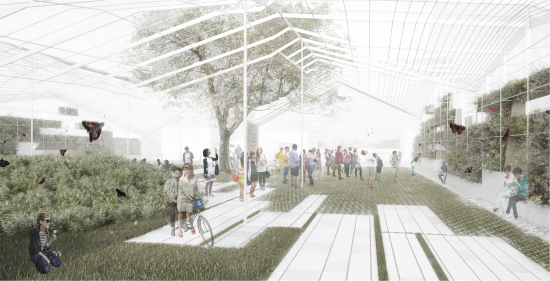 When complete, the 14,000-square-foot, privately-run public space will be able to accommodate farmers markets, fashions shows, and art installations. And at night, the "greenhouse" will glow with LEDs. If Cho can raise $1 million for the park, as he expects he can, it should open next year.